Discussion: The PLAC Test is a simple blood lab test that measures the level of an inflammatory enzyme located in the blood vessel walls termed Lp-PLA2 (Lipoprotein-associated Phospholipase A2). This was originally used to determine the risk of cardiovascular and stroke disorders, but is now being used to help determine how “aggressive” or “progressive” inflammatory skin disorders may become based on the level of inflammatory enzyme activity within arteriolar walls. This is an important blood test for most rosacea sufferers because we still do not know what genes cause rosacea and thus don’t know which rosacea sufferers have recessive rosacea genes (those responsible for ‘mild’ rosacea cases) or dominant genes (those responsible for more ‘severe’ cases). This blood test gives patients a good index of how progressive the disorder may become and help guide their rosacea treatment protocol. If your test results are greater than 200 ng/ml then the chances are high that you are predisposed to the more progressive form of rosacea and may require multiple treatment modalities. Noninvasive in vivo detection and quantification of Demodex mites by confocal laser scanning microscopy. Br J Dermatol. 2012 Nov;167(5):1042-7. Discussion: There are over 150 journal publications on Demodex and Rosacea. Plain and simple…it’s a mess. There are currently three schools of thought on Demodex’s involvement in rosacea. Some studies conclude that Demodex cause rosacea, others suggest that they simply exacerbate rosacea symptoms and the rest indicate that they play no role in rosacea…who are we to believe? A new, non-invasive confocal laser scanning microscope (CLSM) may help elucidate Demodex’s role in rosacea without taking skin biopsies that often leave scars. The CLSM can measure the number of demodex in each pore or in an area of affected skin and also evaluate local inflammatory responses. The role that Demodex plays in rosacea symptoms correlates with the density of demodex in a particular area of skin. In normal, non-rosacea skin pores usually contain 1 to 8 mites. In rosacea skin, mite infestation may be normal; in other rosacea sufferers they may reach abnormally high levels ( 20 to 50+ mites per pore). It is generally concluded that when demodex reach extremely high levels, they play some role in rosacea development, symptoms or progression due to the inflammatory lipase they release and/or from mites penetrating through sebaceous glands and triggering an immune response. With the aid of the Confocal Scanning Laser, rosacea patients can now easily determine how many Demodex mites are in a rosacea-affected area and discuss topical or oral treatment if the Demodex density is much higher than normal. Emotional benefit of cosmetic camouflage in the treatment of facial skin conditions: personal experience and review. Clin Cosmet Investig Dermatol. Nov. 2012;5:173-82. Discussion: Recent studies highlighting the psychological benefits of medical treatment for dermatological skin conditions have demonstrated a clear role for medical therapy in psychological health. Skin conditions, particularly those that are overtly visible, such as those located on the face and neck often have a profound effect on the daily functioning of those affected. The literature documents significant emotional benefits using medical therapy in conditions such as rosacea but there is little evidence documenting similar results with the use of cosmetic camouflage. Drs. Levy and Elmer present a review highlighting the practical use of cosmetic camouflage makeup in patients with facial skin conditions and review its implications for psychological health. Several new brands of camouflage makeup have been released he past few years that are even suitable for male skin. Application technique and blending are important to achieving a “natural” look and often requires one or two visits to a medical esthetician or cosmetologist. This is time well spent for most rosacea patients. (1) Rosacea: Update on management and emerging therapies (2012). Skin Therapy Lett. 2012 Dec;17(10):1-4. Discussion: Dr. Fallen and colleagues emphasize the need to treat each rosacea sufferer on a case-by-case basis due to the variation in rosacea subtypes, symptoms and triggers. Just as important, these doctors suggest that most rosacea sufferers should be treated with a combination of oral treatments (to reach inflammation in the deep tissue layers) and topical treatments (to relieve superficial skin inflammation) to achieve the best results. They briefly discuss the importance of a topical anti-redness prescription that may come to market within the next year or two as this is the most overlooked rosacea symptom. (2) Hair dryer use to optimize pulsed dye laser treatment in rosacea patients. J Clin Aesthet Dermatol. 2012 Jun;5(6):41-4. Kashlan L, Graber EM, Arndt KA. Discussion: Rosacea is a common chronic inflammatory condition characterized by erythema, telangiectasias, papules, and pustules. While there are many effective treatment options for the papulopustular type, laser therapy remains the most effective modality to treat erythematotelangiectatic rosacea. Erythema and flushing associated with rosacea remains an uncomfortable and socially embarrassing problem for patients. Unfortunately, patients often do not have significant erythema or flushing when they present for laser treatment. With this in mind, Dr. Kashlan and colleagues propose a novel technique aimed at enhancing the response of rosacea patients being treated for erythema with pulsed dye laser. Specifically, they showed in a split-face clinical study that pre-flushing one side of the face prior to laser treatment with forced heated air leads to a statistically greater response in rosacea patients with erythema and flushing. (3) Press Release: Sol-Gel Technologies Ltd. announces positive results for a Phase II trial in the U.S. targeting mild-to-severe rosacea using a benzoyl peroxide drug product. Discussion: A double-blind, randomized, vehicle-controlled, dose-range study was carried out at eight medical centers in the U.S. on 92 rosacea patients. The patients received one of two doses of E-BPO or a vehicle gel (control group). The length of the treatment was 12 weeks. The two tested doses were 1% and 5% E-BPO. The primary objective of the study was to identify the lowest dose of E-BPO gel that demonstrates both safety and effectiveness in the treatment of rosacea. The 1% gel was effective and well-tolerated on rosacea patients with papulo-pustular rosacea; while the 5% gel was associated with a significant number of adverse reactions. Rosacea sufferers must be cautious when using benzoyl peroxide and the 1% gel formulation gives them a relatively safe option. “Ranbaxy Laboratories has launched Absorica, a drug used to treat recalcitrant acne, in the United States. Joel Schlessinger MD is excited about this new and effective treatment for acne. Recalcitrant nodular acne is a severe type of acne that often does not respond to antibiotics or topical treatments. Absorica, a new version Accutane, is taken as a capsule by mouth twice daily. Accutane is an effective treatment that heals and prevents acne breakouts on skin that may be resistant to other treatments. One of the downfalls of Accutane is that it must be taken with a large meal for best results. This version of Accutane has a better ability to be absorbed into the GI tract. Joel Schlessinger MD worked on this drug in clinical trials at the Advanced Skin Research Center in Omaha. 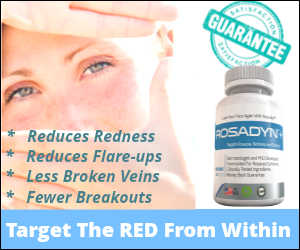 Have you ever tried Absorica or Accutane in your rosacea treatment program? Tell us about your experience and results of using either of these medications in the comments section.